Developing a pharmacy student’s career readiness goes well beyond general academic ability and scientific knowledge. A pharmacist’s inter- and intrapersonal skills (a.k.a. “Soft skills”) are crucial to their success while interacting with educators and fellow students — and later with patients and other members of their team. 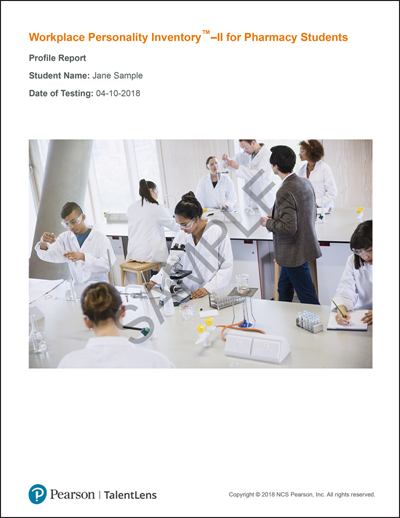 With the Workplace Personality Inventory-II (WPI-II) for Pharmacy Students, pharmacy schools now have the ability to evaluate a students’ soft skills and provide development and progress monitoring for these skills throughout their pharmaceutical education. Interested in learning more? Complete this form and we will get in touch with more information. Pharmacy students need more than scientific knowledge to be successful. 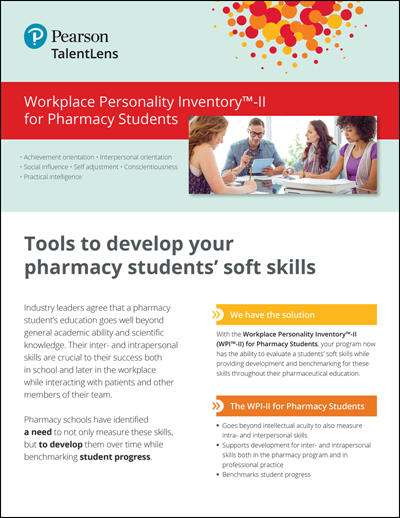 Learn more about WPI-II and how it can assess AND help develop your pharmacy students' soft skills. 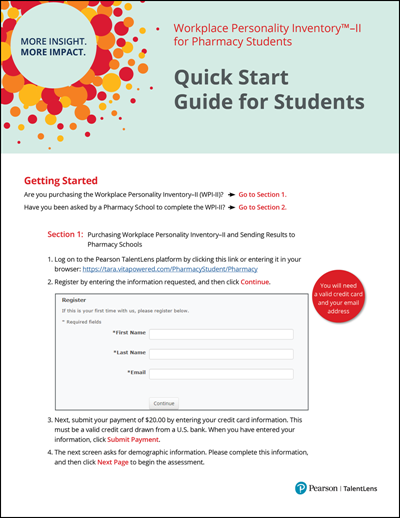 Students: Learn how to purchase and complete the WPI-II and send your results to Pharmacy Schools with this Quick Start Guide. 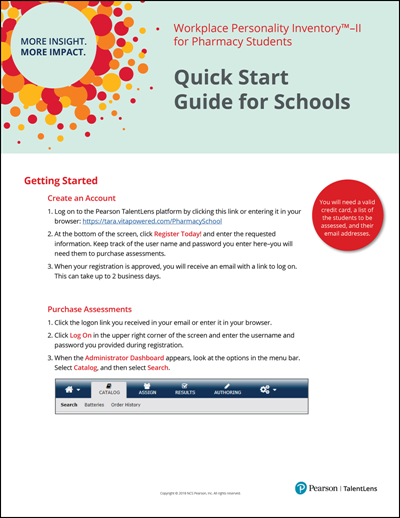 Schools: Register and begin using the WPI-II and share student results quickly and easily with this Quick Start Guide for Schools. See samples of the Profile Report which provides feedback on the 6 Drivers of Professional Performance and 16 Work Styles and the Development Report which includes personalized development suggestions and step-by-step instructions to implement a plan.